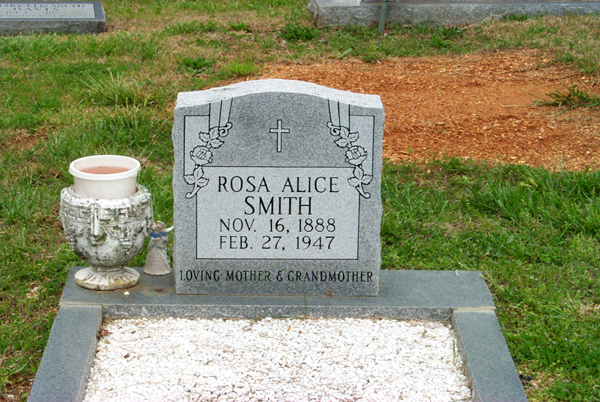 Rosa Alice Davis, wife of James Henry Smith, is buried in the East View Cemetery in Adairsville, Georgia. 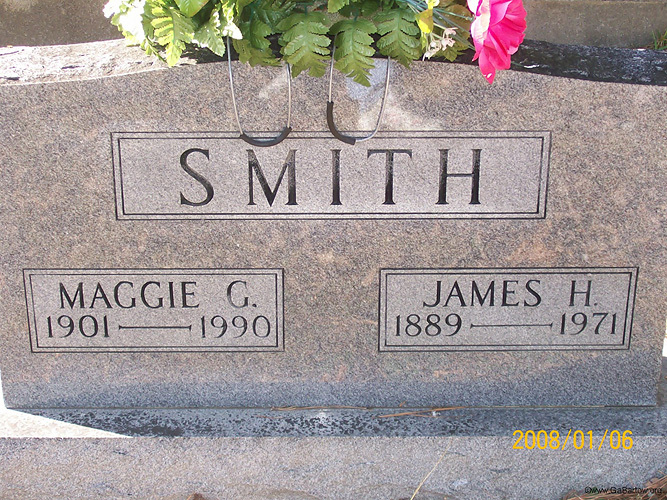 James Henry Smith and his second wife Maggie G. are buried in the Mt. Carmel Cemetery near Hall's Station in Bartow County, Georgia. I found this photo on a Bartow County genealogy site. 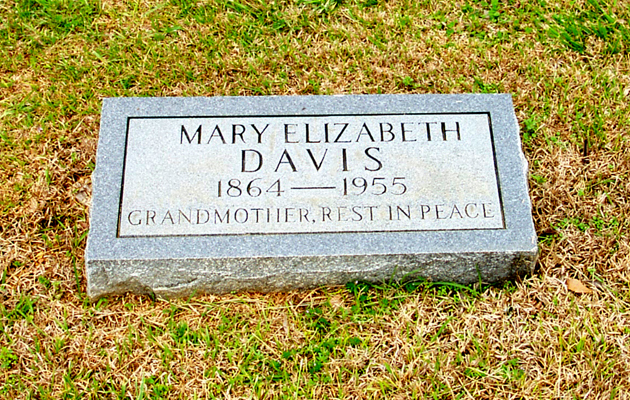 Mary Elizabeth Marsh, wife of Newton Berry Davis, and mother of Rosa Alice Davis, is buried in the East View Cemetery in Adairsville, Georgia. 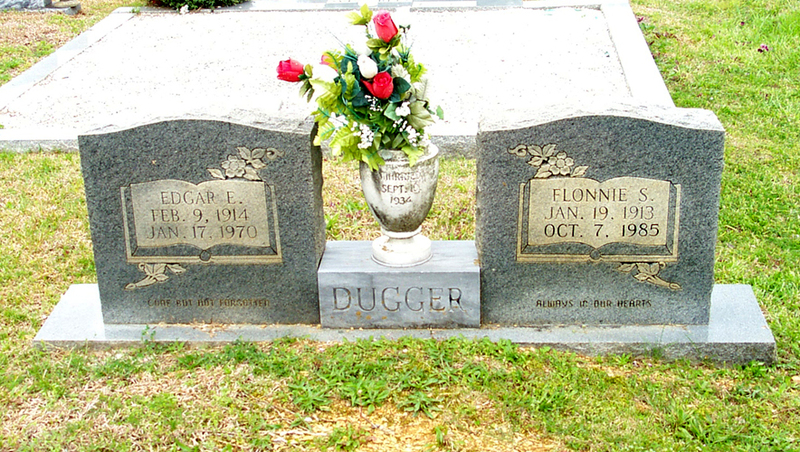 Flonnie Bell Smith is buried next to her husband, Edgard Dugger, in the East View Cemetery in Adairsville, Georgia. J. 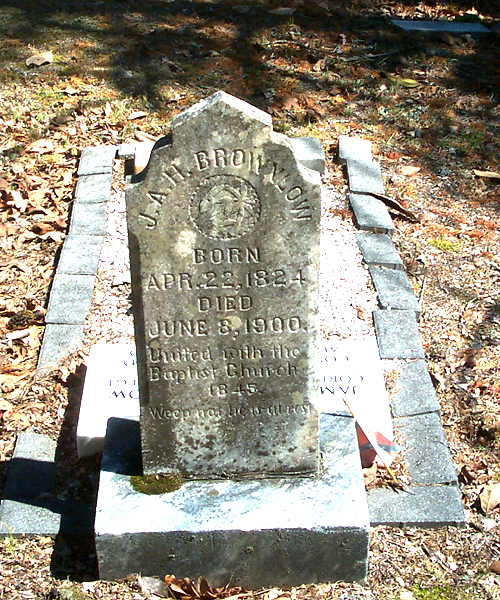 A. H. Brownlow and Jane Ann Austin were the parents of Harriet Octavia Brownlow who married William Thomas Smith. They are buried in the Connesena Baptist Church Cemetery near Halls Station, Georgia. 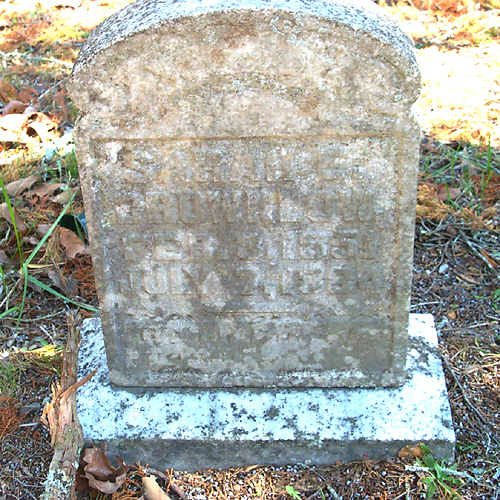 Sarah E. Collins, sister of Ursula Collins and wife of James Wimpy Brownlow, is buried in the Connesena Baptist Church Cemetery near Halls Station, Georgia. 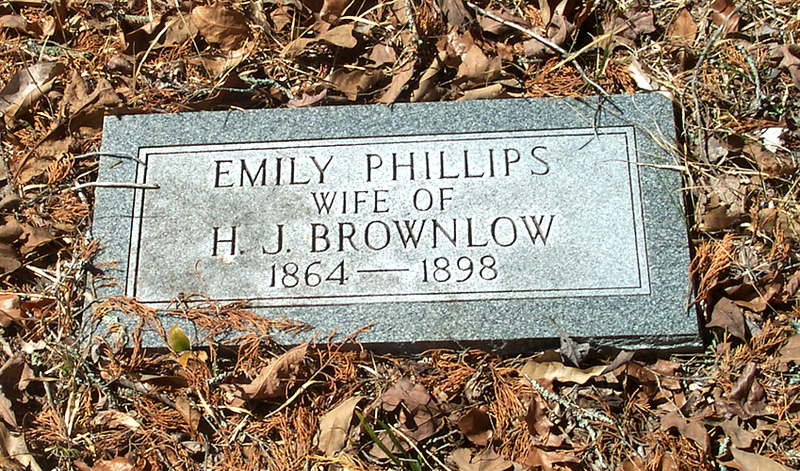 Emily Doster Phillips was the wife of Henry Jackson Brownlow, Harriet Octavia Brownlow's brother. 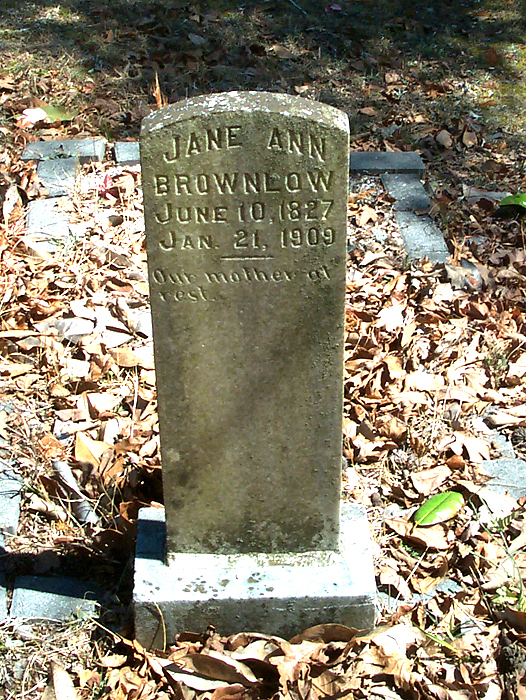 She is buried in the Connesena Baptist Church Cemetery near Halls Station, Georgia. Emily's mother was Rhoda Collins.